With the help of bacteria, organic matter is decomposed to biogas under exclusion of light and oxygen. This process exists all over the world, e.g. at the bottom of lakes, in manure pits and on compost heaps. But to able to sensibly and efficiently use biogas, this process has to be controlled. 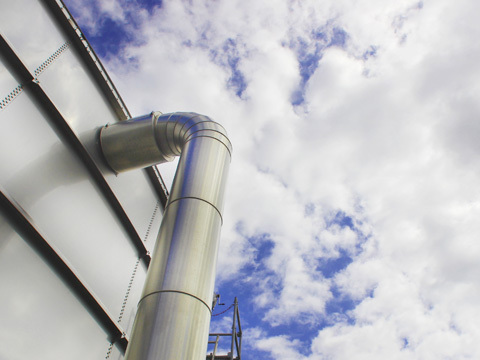 In biogas plants, certain substrates are therefore used targetedly to be able to energetically utilise the biogas that was generated in a controlled manner. 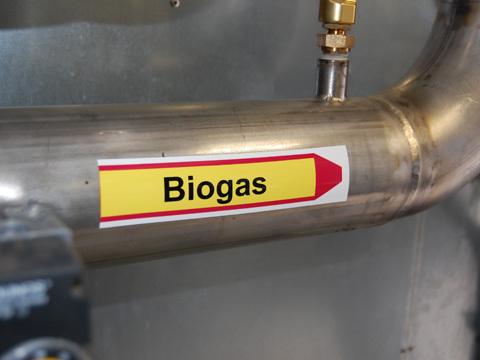 For the most part, biogas consists of methane (50-75%) and carbon dioxide (25-50%). In this, the methane content in particular is an important indicator. Because the higher the methane content, the higher the energy content in the biogas. 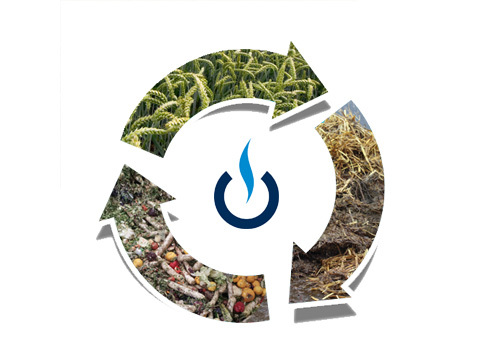 The energetic utilisation of biogas is created by the burning of methane. One cubic meter (m³) of biogas with a methane content of 60% has an energy content of approx. six kilowatt hours (kWh). This is the equivalent of approx 0.6 l heating oil. Which substrates can be used? 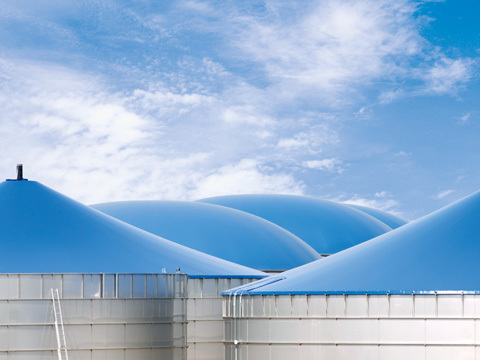 How can biogas be utilised?